Existentialist Thomism: What to Read? I was wondering if you know of any works in English which deal with the problem of existentialist Thomism from a more classical Thomist perspective. I am ordering a copy of The Sacred Monster of Thomism, which seems it may get into this issue to some extent in analyzing Father Garrigou-Lagrange's conflicts with Maritain, Gilson, Chenu, etc., but any other books you are aware of may be helpful. I am particularly interested in any works which may help to emphasize the balance of essence and existence in authentic Thomism as opposed to both the overemphasis on existence in existential Thomism and the overemphasis on logic and essences in essentialist Thomism. No need to fall into the essentialist errors which some of the more existentialist Thomists like to accuse authentic Thomism of. Respondeo: I don't know of any works that BOTH explicitly contrast "Existentialist Thomism" with the more traditional Thomism of the manuals AND present the latter in a positive light. It would make sense to me that the sole reason why modern authors (last century) bring up the distinction between "Existentialist" and"Essentialist" Thomism is to show that either traditional Scholastic Thomism (supposedly the same as"Essentialist Thomism"), or both traditional and "Existentialist Thomism," don't work. It is false, and even presumptious, to think that for 600-or-so years Thomists always fell into the error of "essentialism" until Fabro et al came along and removed our blinders. But it is equally false and presumptious to think that the truth lies somewhere in between, as if for 700-or-so years Thomists have always fell into either extreme of essentialist or existentialist Thomism, and that no one has ever found a "balance." Rather, the truth lies in the consensus of Scholastic Thomists--not in what Fabro taught, not in what Cajetan taught (at least not in the exact way he taught it), but in what most Thomists have always taught. You will find this consensus in the traditional scholastic manuals and other similar scholastic works. So rather than telling you to read some "centrist" neo-Thomist, I would point you towards some of the best examples of traditional Thomism. As I have mentioned in a previous post, the best idea, in my view, is to start by reading the traditional Thomistic philosophical manuals in Latin (e.g., Hugon, Gredt, Zigliara, etc., which I have available through my Ite ad Thomam Out-of-Print Library in PDF format). H.D. Gardeil, Introduction to the Philosophy of St.Thomas Aquinas (vol. 4 is on Metaphysics; and unfortunately it is also out of print, but I also have it available through my Ite ad Thomam Out-of-Print Library in PDF format). Garrigou-Lagrange, Reality, Ch. 4-5 (available online as text, as well as through the Ite ad Thomam Out-of-Print Library in PDF format). Garrigou-Lagrange, Le sens commun: La philosophie de l'etre et les formules dogmatiques (also available through my Ite ad Thomam Out-of-Print Library in PDF format). Ramirez, De analogia, 4 vols (also available through my Ite ad Thomam Out-of-Print Library in PDF format). Ramirez's work is the most thorough discussion on analogy ever written from the traditional Thomistic point of view (painfully thorough, in fact). And notice I don't initially recommend Cajetan. While Cajetan is the most famous commentator of the Summa, by no means are his views the very definition of "Thomism of the strict observance" (or, as I prefer to call it, traditional Scholastic Thomism). He is number one in the existentialists' list of "essentialist Thomists." And the reason is that Cajetan is perhaps a bit more an "essentialist" than the average--and certainly moreso than the best--traditional Scholastic Thomists. But it is an illegitimate move to lump Cajetan and the rest of the traditional Scholastic Thomists into one group, and then thinking that by refuting Cajetan one is refuting the entire school of Scholastic Thomists. The reality is more nuanced than that. Most Thomists don't put things in Cajetan's exact terms. In fact, Garrigou-Lagrange, whose thought I DO consider to be the most advanced and profound expression of traditional Scholastic Thomism, sides with Cajetan in a qualified way only. Garrigou praises Cajetan over and over throughout his writings for his profound sense of mystery and says of him that, "[his] glory lies in his recognition of the true grandeur of St. Thomas." However, Garrigou acknowledges that Cajetan sometimes gets a bit hung up on logical abstractions, and every now and then you'll see Garrigou saying things such as, "Cajetan conceived the matter too abstractly." So, overall, he sides with Cajetan, but although Cajetan was usually right in Garrigou's view, things could nonetheless be expressed or conceived in a better or more adequate way. A bit like Aquinas, who treats Augustine with reverence and hides the fact that he disagrees with him, so Garrigou will do with Cajetan, to a lesser degree. In fact, you won't really see Garrigou-Lagrange flat-out rejecting the views of too many Thomists (Suarez's views were a definite exception, as he didn't consider Suarez to be a Thomist at all! ), and this is partly because he revered them, partly because he practiced the axiom: seldom affirm, never deny, always distinguish. PS. Pictured above are Cajetan and Luther. 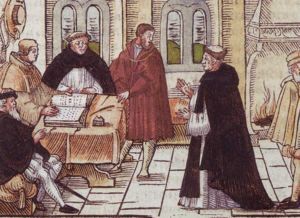 Cajetan was the Apostolic Legate to Germany and was commissioned by the Pope to confront Luther. After almost a month of inactivity in this blog, perhaps some of you may be thinking that I dissapeared from the planet. I answered (most of my) emails and replied to all PDF-file, book, and course requests, but I did not publish any new posts. So, in a way you could say I did dissapear. Once my final exams for the summer session were done, I invested my time in praying to St. Joseph and moving forward with my long-term plans. As many of you know, my plans for this coming academic year were to move from Miami, FL to Pamplona (Navarra), Spain with my family to attend a graduate theology program at the University of Navarra. But, it turns out St. Joseph had something else in mind. I had great difficulties finding both a visa and means to supporiting my family while we lived there (it would have been illegal for me to work in Spain if I had a student visa). This meant that Spain was not an option for us. In turn, I was offered a full-time position as Academic Dean at a small, independent, conservative Catholic school near Salem, Oregon--close to my wife's hometown and family, the place she has always dreamt of settling in. I decided to accept the position and move there. 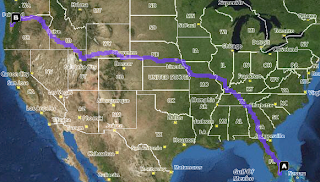 The trip was grueling (it took 7 days of driving--not counting Sunday, when we rested) and extremely expensive (most of my savings went into the gas tank). I can't deny, however, that it was quite exciting: we saw many incredibly-beautiful landscapes (the Rockies, WOW!) and visited many interesting places (including four more MLB stadiums!!!). 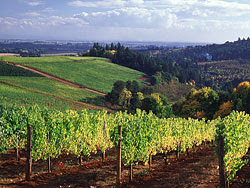 So here we are now, in Northwestern Oregon's gorgeous Willamette Valley. This is not Spain, but, ironically, it is, as it were, a virgin version of Aragón (Northeastern Spain, where the Romeros are originally from), with its rolling hills, winding rivers, luscious vineyards, ubiquitous evergreens, and fields after fields of green, with the snow-capped Pacific Crest Mountains in the distance. I didn't even know so many tones of green exist! My wife is terribly excited to be back here; she is finally home. She is very much acting herself--something she couldn't do in Miami. We will now be here for a good, long time, Deo volente. So my plans to pursue theological studies have changed a bit. I will still do it but, for now, in a different way. I am still enrolled in a Distance Education program through which I will eventually earn an M.A. in theology. 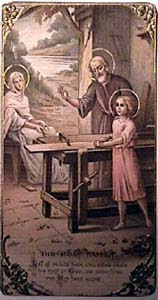 Perhaps when I finish that--and I'm doing it in a very much part-time fashion, as time allows--perhaps then I will reconsider plans to pursue an STD (a canonical Doctorate in Sacred Theology), but it will all depend on Divine Providence, through the intercession of the good St. Joseph. Close by I have Mount Angel Seminary, which offers an STB... who knows? !